New Coupons! 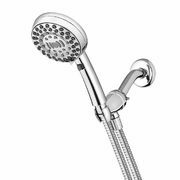 $10 Off Waterpik Showerhead + More! Costco Costco In-Store Coupons: $10 Off Waterpik Showerhead, $6.50 Off Huggies Natural Wipes, $6 Off Starbucks Pike Place Coffee + More New Coupons! $10 Off Waterpik Showerhead + More! These offers are available until March 31 at Canadian Costco locations for Costco members in good standing and eligible guests. Happy shopping!